Sunitha Sarathy (Tamil) is an Indian vocalist and performer in both Indian contemporary and Western Classical Music genres.She is also a Gospel Singer who performs in various Church choirs. After having won the ""Virgin Voice Choice"" contest — a joint initiative of Channel V and Virgin Records in the year 2000, Sarathy debuted into film playback in the year 2002. 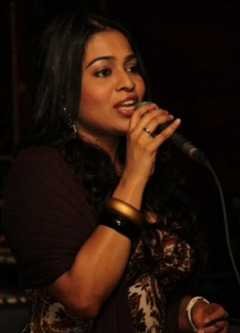 She debuted as a playback singer with the Tamil film Yei! Nee Romba Azhagey Irruke guest-singing the prelude and interlude portions of the song ""Ini Naanum Naanillai"" with Srinivas and Sujatha Mohan as the lead singers.Sarathy has around 200 film songs in various languages, performances as singer-keyboardist-percussionist across a wide spectrum of Western music genres including classical, jazz, soul and R&B, neo-soul and quiet storm, and a prolific output of gospel songs to her credit.Coming from a family well-versed in Western music (classical jazz), Sarathy started singing in choirs from a young age of 4. Her mother Susheela Sarathy is a pianist and conductor of leading Madras choirs at Santhome Church and Lazarus Church. Sunitha's irrepressible talent conquered all, including her initial flippancy. Her performances at Santhome — including devotionals in Latin and Franz Schubert's Ave Maria — elevated her to star status among Madras' church music circles. She has had the honor of rendering the ‘Easter Proclamation' — a typical Catholic chant — for three years before an overflowing San Thome Basilica.Sunitha Sarathy was noticed by playback singer Srinivas after her victory in the talent hunt program. He offered her a small portion of a song which he was guest-composing for the film Hey! Nee Romba Azhaga Irukke in the year 2002. 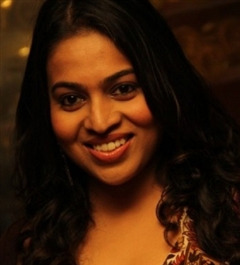 Soon later, composer Harris Jayaraj recorded her voice for a Love theme and dance theme in his Telugu film Vasu. 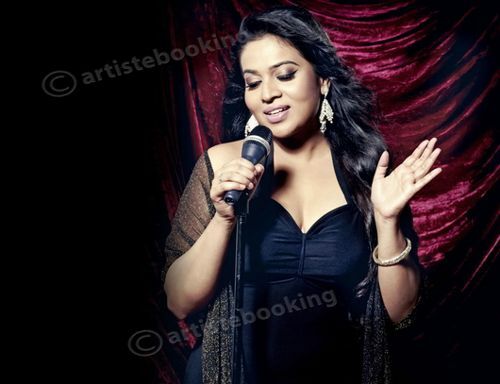 However she got a big break and wider recognition after singing the full-length solo song ""Thoodu Varuma"" for the blockbuster Tamil film, Kaakha Kaakha in the same year.She also recorded the song ""Warriors in peace"" for the Mandarin film Warriors of Heaven and Earth composed by A. R. Rahman. Why Book Sunitha Sarathy Through ArtiseBooking?